Automatically generate polished agreements with just a few clicks from Salesforce. Instead of selling, are your reps preparing agreements by re-keying data already in Salesforce, using old templates, or pasting text from other sources? DocuSign Gen for Salesforce is the faster, easier way to generate polished and accurate agreements. Seamlessly merge customer, product and pricing data to generate agreements in Microsoft Word or PDF. DocuSign Gen for Salesforce is a Salesforce-native application, powered by Lightning. Automatically include or exclude content based on business rules or Salesforce data. Create sales agreements instantly with just a few clicks. DocuSign Gen for Salesforce is built for small businesses. Download and install the app from the Salesforce AppExchange. Connect your DocuSign account and easily configure templates. With a few clicks, a sales rep can generate an agreement. Start generating polished, error-free agreements today. Do I need a DocuSign for Salesforce subscription to use DocuSign Gen for Salesforce? Yes, a DocuSign for Salesforce subscription plan is required for you to use DocuSign Gen for Salesforce. You’ll be able to prepare, send for eSignature and store your agreements all within Salesforce. 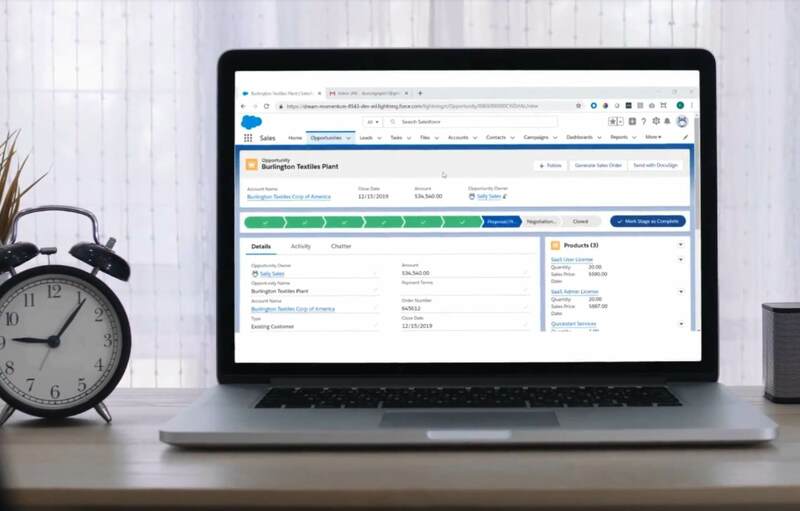 If you don’t have a DocuSign for Salesforce subscription, sign up for a 30-day free trial here. Will DocuSign Gen integrate with other systems of record besides Salesforce? Additional systems of record will be integrated in the future. How can I try out DocuSign Gen for Salesforce? Download and install the DocuSign Gen for Salesforce app from the Salesforce AppExchange. A 30-day free trial is available. 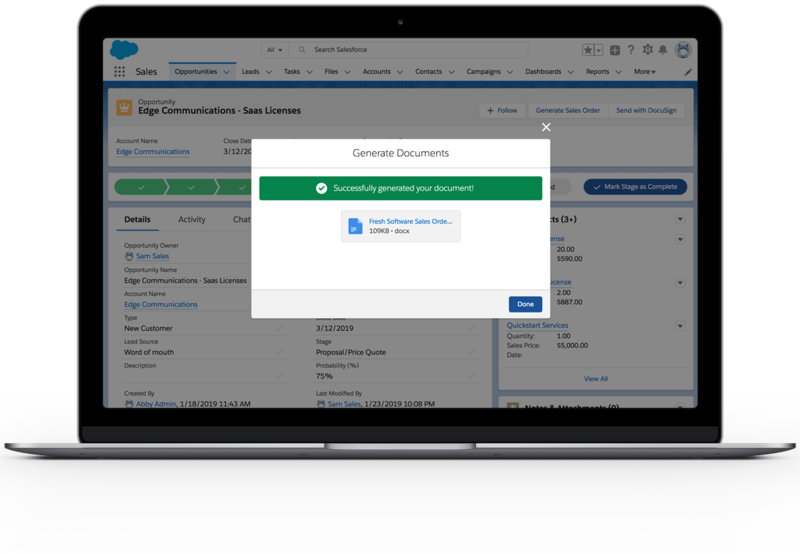 Do I need Salesforce Lightning to use DocuSign Gen for Salesforce? How about Salesforce Classic? DocuSign Gen for Salesforce has been built on the Salesforce Lightning Platform. However, the product is still compatible with Salesforce Classic.